Hunting and gathering for food on the island of Singapore is very much an urban affair with practically all produce flown or trucked in. There’s no foraging in the countryside or visiting producers, no farmers markets where you come face to face with the artisan growers and producers. We do have the local wet markets, but I find these increasingly dominated by cheap Chinese imports of dubious quality and you will certainly be hard-pressed to find much organic produce. That said, I do enjoy frequenting my favourite fish monger, Mr Chua at Ghim Moh Market Hock Leng Fish Stall, and Mr Hameed, stall (01-127) Haji M.N. Shahul Hameed at the Tekka Market, my trusted source for mutton and goat. You will also find me at Tiong Bahru Market most weeks buying seafood or freshly made noodles and eating at the excellent array of hawker stalls on second floor food court. Dare I say, the supermarkets are also improving although I still find all of them under-delivering and completely pedestrian by comparison to say, supermarkets in England. It is mindboggling really as the supermarkets here have a captive audience and stranglehold on real estate position, and yet they continue to specialize in mediocrity and have not grasped the bourgeoning demand for organic produce, or wine for that matter. On the bright side, there is an increasing array of fresh meats and prepared meat products being imported here; salami, dried and cured meats, hams etc. 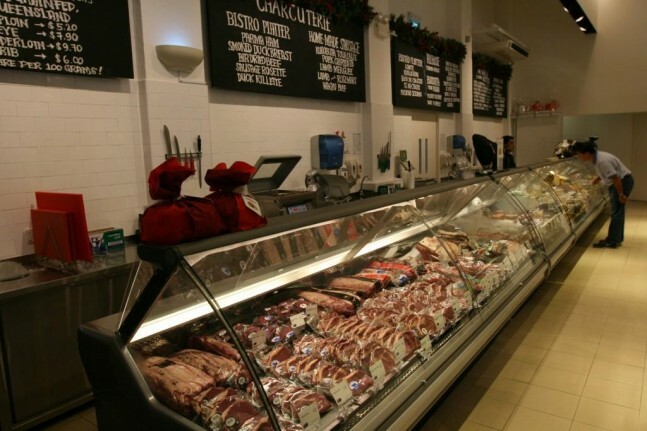 and an increasingly diverse range of beef, lamb and pork from all over the world. 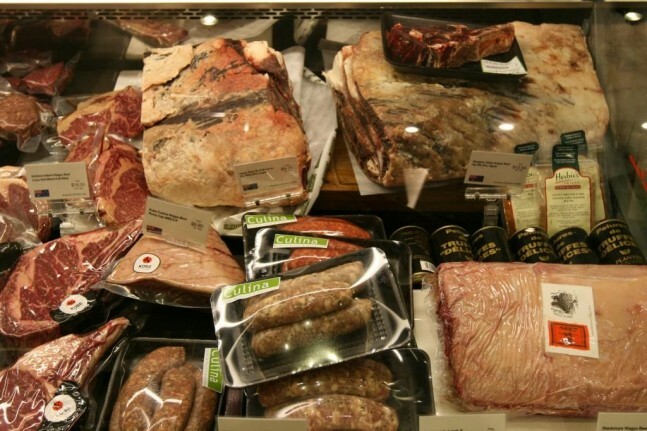 The Agri-Food & Veterinary Authority of Singapore (AVA), the highly conservative body that governs all food imports seems to have relaxed a tiny bit and we can even get Jamón ibérico now, although a chilled free-range organic chicken is still classified as a bio-hazard! Go figure—and read more on this with my article “A Happy Chook is a Tasty Chook”. There is however a produce oasis, in Dempsey Hill, the providore come delicatessen, butcher, wine merchant and bistro ‘Culina’ where I shop at least twice a week. Regular patrons of Culina will no doubt be impressed with the recent renovations, which I am told the design and implementation was personally overseen by Christina Ong, with the Ong’s acquiring Culina last year. There is a much more spacious feel to the place now with the interior stripped back to its original colonial charm and completely white and bright interior with clean lines and high ceilings all contributing to a very conducive atmosphere. The wine and produce areas have been reorganized with a more logical flow and improved shelving and display. 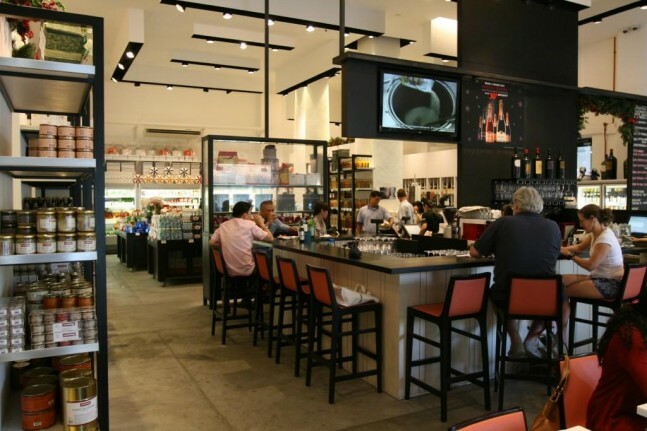 The biggest changes are the new check-out counter, bar and remodelled bistro seating area, which looks great, and I would have to say, the quality of the food and the bistro/cafe dining experience has to one of the best kept secrets in Singapore. It is a very user-friendly space where you can simply have a glass of wine or a coffee and an all-day menu with an emphasis on casual eating, but the clear advantage here is access to some of the best produce in Singapore and it’s all right on hand, literally in front of you; step over to the meat and fish counter and choose whatever you fancy—piping fresh oysters from France or a Cape Grim free-range grass-fed Angus steak. 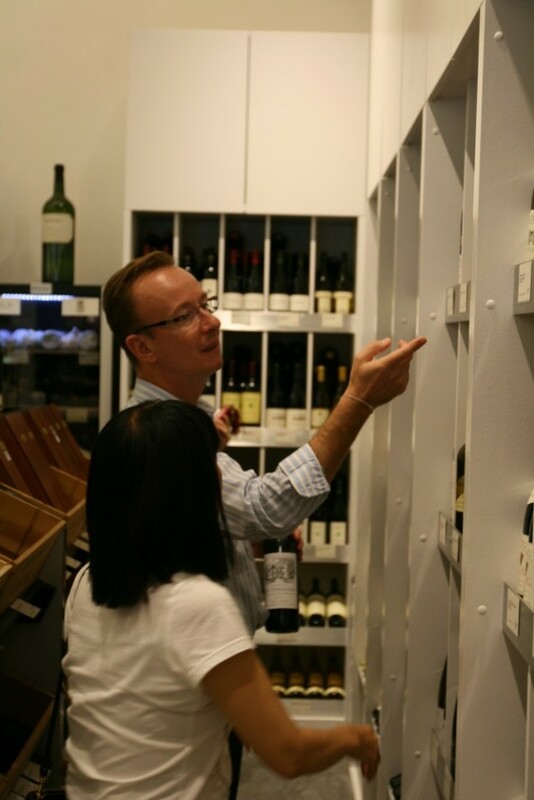 And there’s enough wine stacked all around this place to keep the most demanding wine enthusiasts well occupied and you can select your bottle and pay only $15 corkage on top of the retail price—a brilliant idea and possibly the best-value restaurant wine prices in all Singapore. Another new asset is Jean-Philippe Joye, General Manager of Retail and the Bistro, a jovial Frenchman with many years’ experience in the hospitality industry and a thorough professional who is ever-present to offer friendly advice whether you are dining or shopping. 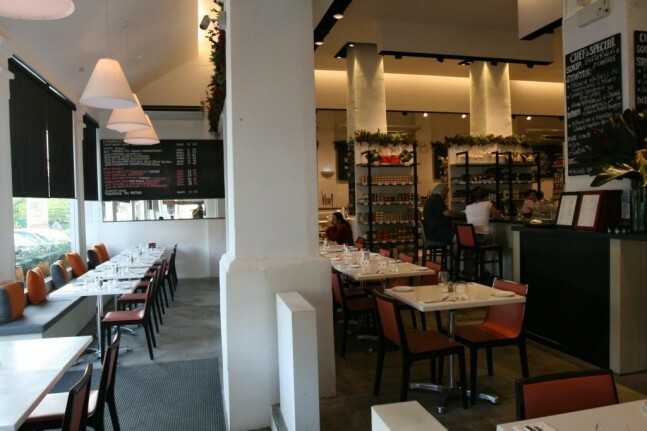 I know it sounds like I am reviewing a bistro more than a providore so far, but behinds the scenes, Culina is a very strategic wholesale importer and distributor of fresh produce and wine supplying many of Singapore’s top hotels and restaurants. 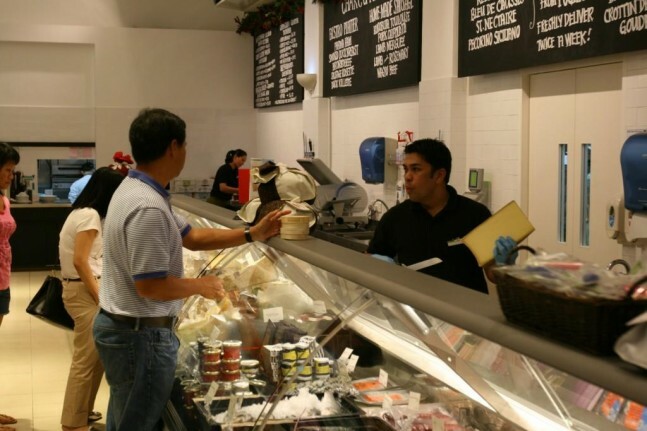 Moreover, they are arguably the leading butcher in Singapore and all driven by the very talented and produce/quality obsessed Tim Martin, Sales & Operations Manager, Meat Division. Back in 2008, Culina’s retail butchery expanded to include operating at NTUC Fairprice Finest supermarket in Thomson Plaza and Bukit Timah Plaza, which gave them scale to evolve their small goods production and more specifically their brilliant sausages—personally, I think their Toulouse Sausage and Lamb & Rosemary Sausages are the best, and not only in Singapore, but anywhere. There are many things that I shop for at Culina, depending on the circumstances; some are staples on our weekly menu or for dinner parties, and sometimes on a larger scale of entertainment where I go through Tim Martin to get whole cuts, but these come in bulk cryovac and you need to be prepared to do your own preparation and trimming. 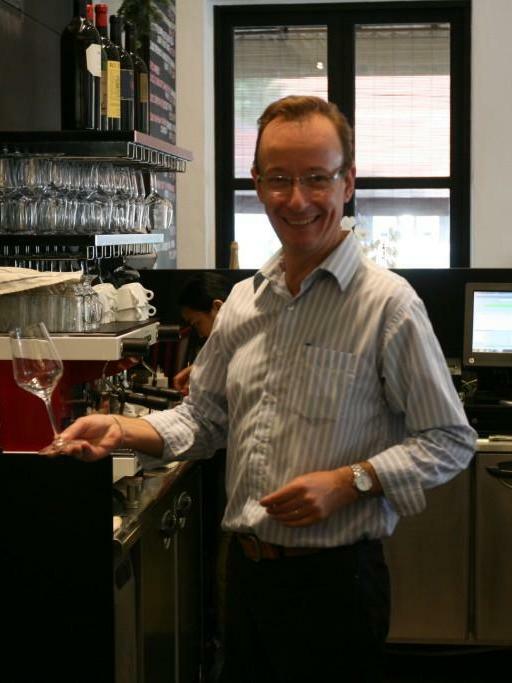 If you get yourself on Tim’s SMS list (send him an email tim@culina.com.sg), he will alert you to special bits arriving. We recently had a whole Welsh Spring Baby Lamb that was sensational and weighing in at 12kgs it fed ten of us easily. As you can imagine fitting a whole lamb in the oven was quite a challenge but it came out roasted to perfection, the meat wonderfully sweet and infused with the thyme I placed in the cavity, the aromas and flavours pairing wonderfully with dried herb nuances of the Two Paddocks Pinot Noir 2010 served with it – click here to see the results. 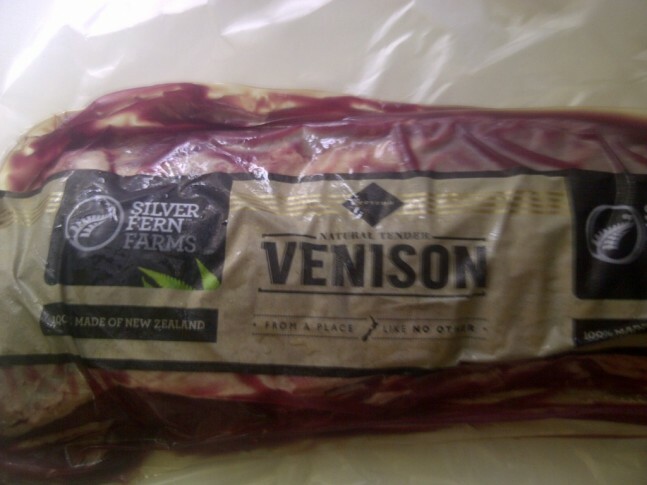 Another whole cut that I source from Tim regularly is New Zealand Venison Loin, from Silver Fern Farms, which is absolutely incredible and about as lean as grass-feed, free range meat comes moreover, has the highest level of Omega 3 in any red meat. Venison is such an underrated meat with an undeserved reputation for strong gaminess that I find somewhat puzzling, when in actuality it has less meaty smell than most lamb. By definition Venison is a game animal, the word venison derived from Latin vēnor (to hunt or pursue) and part of the English vernacular from the Norman invasion of England and the establishment of the ‘Royal Forests’. In North America and much of Europe it is known “Cervidae“, from Latin: cervus, “deer”. So, I take the loin of venison, which is quite long; longer than a whole fillet of beef, although much thinner, about an inch thick, which can feed up to twelve people. I cut into two or three portions and trim of the sinew (there’s no fat at all). Scoring it very lightly and rubbing in some cracked pepper, crushed juniper berry, Maldon smoked sea salt and olive oil then cling-wrap and leave in the fridge for a few hours, or overnight if you have time. You have to serve venison loin rare as there is simply no fat and it will dry out. To achieve this I sear it in a smoking hot pan each side, immediately putting the pan (with metal handle) into a hot oven for no more than 8 minutes (less for the thinner portions), sprinkling it with a little more Maldon smoked sea salt as I remove it from the oven to rest for 10 minutes. Yes, it’s that quick and simple, practically easier than cooking a beef steak. Frankly, I don’t think there is any better red meat on this earth than venison loin and it pairs brilliantly with a full-bodied pinot noir, indeed something like the Schubert Block B Pinot Noir 2011 from Martinborough, New Zealand, a recently tried and tested pairing – click here for article. I regularly buy their Australian Kurobuta pork chops, the Japanese Kagoshima Prefecture breed originating from the English Berkshire pig. I find pork the most difficult of all meats to cook—the slightest bit of overcooking murders pork, mercilessly drying out. Indeed I will admit to buying crispy roast pork belly or char siew from hawker stalls more often than attempting to cook pork myself, however with the wonderful succulence and juiciness in the pork Culina has, a carefully pan-friend chop is very impressive. Occasionally Tim sends a message indicating whole rib roasts of Korabuta available to which if I am feeling in a really masochistic cooking mood, I love the challenge of getting the crackling perfectly crisp and golden brown yet retaining that elusive juiciness in the meat. I should mention when I say whole rib, the entire side of the rib cage with a totally wicked layer of fat about 2 inches thick. It feeds at least 10 people and you get a bonus free heart attack. My most regular purchase of meat at Culina is Cape Grim grass-feed, free-range Black Angus from the pristine and green pastures of northwest Tasmania, Australia. I need to declare that I am not a great fan of grain-feed or finished beef. I know there’s a lot of people that like their USA Prime heavy marbled beef, but I am not one of them. It is not natural for a cow to eat grain and it was only the onset of World War II and the necessity to feed millions of soldiers that fed-lots with grain was invented. You can read all about beef in my comprehensive article on grass fed vs grain fed here. The Cape Grim comes in a variety of portioned cuts; rump steak, sirloin, tenderloin, rib-eye (boneless) and a rib bone in—that is one rib bone about 2 inches thick and weighing about 800 to 1000gm, enough for three people although two of us seem to have no trouble getting through it! I liberally season with Maldon smoked sea salt and cracked black pepper, sear the rib in hot pan and finish in a moderate oven, using my meat thermometer to accurately cook just on the medium side of rare. I am a big believer that to get the very best out of a beef steak, the cut needs to be thick, at least 2 inches and preferably bone-in, like the Bistecca alla Fiorentina of Florence,Tuscany. Eye fillet for pan-frying tends to be universally cut to this thickness, or you might be cooking the fillet whole on the BBQ or in the oven. Sirloin or Porterhouse is often cut thinner, but I prefer to ask for our butcher at the Culina counter, if he has a whole sirloin on hand, to cut me a 2-inch steak, as cooks much better and can always be carved up to share; although I rarely share! Like all New Zealanders, I enjoy my lamb and Culina have some of the very best I have ever tasted. It is from the Maori Lakes region of the South Island of New Zealand and the lush, green pastures in the foothills of the Southern Alps watered by the purest snowmelt lakes and streams and about as ideal as it gets for raising lamb. The meat is wonderfully sweet with the characteristic acid backbone of New Zealand lamb, and much leaner than Australian or Welsh lamb. An interesting observation I have made through my Chinese relatives is they do not much like lamb, as it is “Chòu” (smelly), however whenever I cook Maori Lakes lamb for them, they like it very much and always comment on the ‘sweetness’ of flavour. Cheese would be probably be my constant purchase at Culina and they have one of the best, well-maintained selections in Singapore, and whilst artisan cheese with never be inexpensive, I find their prices digestible. 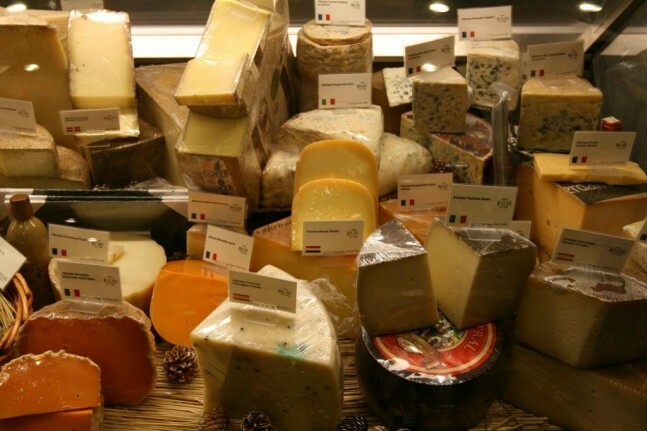 It is all European cheeses, which I can understand or certainly don’t have a problem with that but it would be good to have someone in Singapore start bringing some of the excellent artisan cheeses being made in New Zealand and Australia. 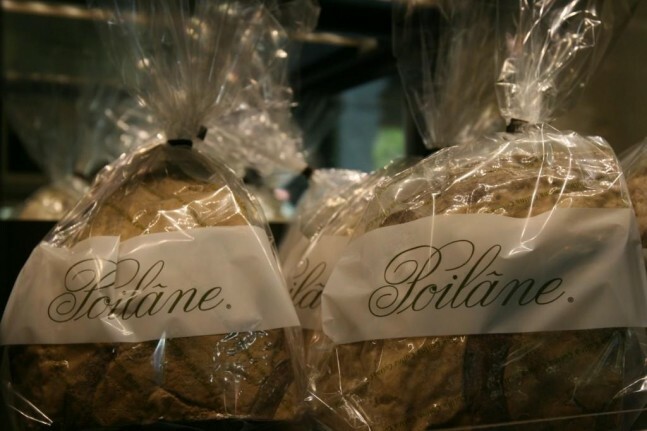 My most regular item purchased at Culina and a daily staple is the rye sourdough bread from Poilâne, airfreighted from Paris. I have come to terms with (ignore) the food miles and price of this indulgence as there is no substitute for really good bread and I have yet to come across anything close to proper sourdough bread in Singapore. Yes, I know there is a proliferation of Baker’s in Singapore now and whilst the Patisseries can be impressive, frankly there is no one truly hitting the mark with bread, and specifically sourdough bread. This may sound harsh but I am reminded of how good bread can be every time I travel to Australia, England or France where genuine artisan bread baking of the highest standards is commonplace. The Poilâne rye sourdough (toasted) is mandatory for the Tetsuya Wakuda’s soft smoked ‘Petuna’ Ocean Trout from the remote South-west coast of Tasmania, where the cool wilderness waters of the Franklin-Gordon Rivers meet with the salt water of the Great Southern Ocean. Exclusive to Culina, Tetsuya’s Petuna Smoked Ocean Trout, to my taste, is far superior to any other smoked fish I have tried from anywhere in the world. It is most attractive vibrant orangey-pink colour and melts in your mouth with a creamy texture and subtle saline, smoky flavours and sweet oiliness—the emphasise here is on lightly smoked—resulting in a marked delicateness and subtleness of flavour. Smoked Salmon is an acquired taste and I know many people find it too strong (fishy) in both smell and flavour however, Chef Tetsuya Wakuda is legendary for his masterly ability to caress the very best out of fresh produce with his subtle and meticulous methods, and the Tasmanian Ocean Trout is quite unique in its subtle flavour and texture; Tetsuya calls it “The Wagyu of the sea”, his widely acclaimed ‘Confit of Petuna Ocean Trout’ known as the world’s most photographed dish. Culina also have fresh whole sides of the Petuna Ocean Trout so you could, in theory, try cooking this amazing dish yourself – click here for recipe. I like to serve Tetsuya’s Smoked Ocean Trout on toasted Poilâne rye sourdough with a dollop of crème fraiche and pair it with a restrained style of chardonnay, something with sufficient oiliness but not too much wood, like a Grand Cru Chablis from Domaine Drouhin, or Kumeu River Chardonnay from New Zealand, or Shaw & Smith Chardonnay from Adelaide Hills, South Australia. 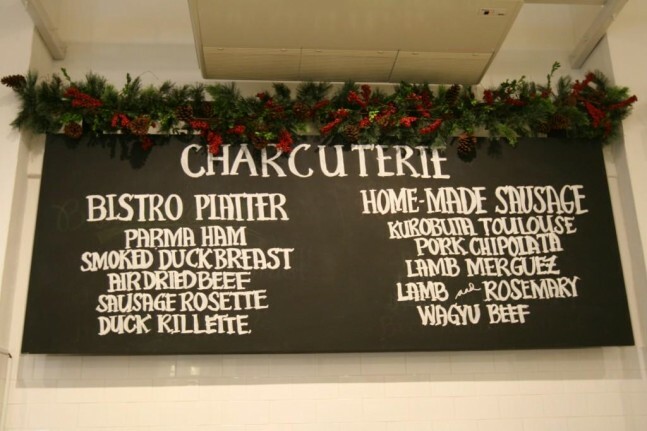 If am putting together a platter as a starter, a might add to the Smoked Ocean Trout some of Culina’s own duck terrine and rillettes, and there is a large range rillettes, terrines, pâtés, mousses and fois gras from the exclusive French brand Castiang. I also like to use their wafer-thin slices of pancetta and there are something like 60 different type of charcuterie to choose from. Culina have many other speciality food lines; artisan pasta, dried mushrooms and beans from Italy and France, olives and olive Oils, vinegars and spices—practically any delicatessen line you can think of is pretty much covered. They also airfreight whole fresh fish from Europe, John Dory, Sea Bream, Turbot and Sole to mention a few, fresh Oysters from France and also the brilliant tiny and sweet Belgium Mussels, to which you will find Moules-frites on the Bistro menu and possibly the most popular dish of all judging by last visit and looking around almost every table was sharing a bowl. 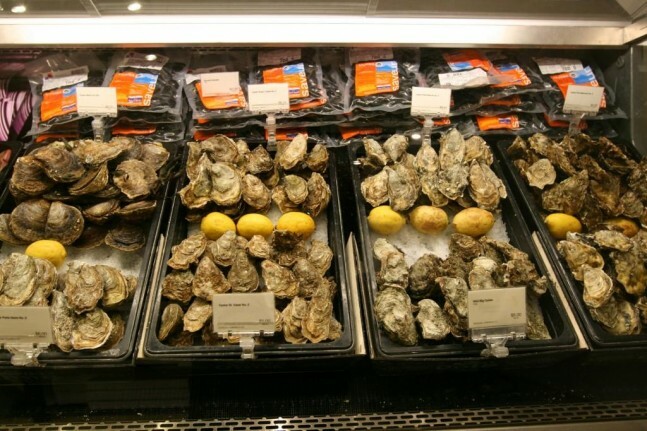 There is a selection of fish roes and caviars along with crème fraiche and other speciality diary items from France, and a bank of freezers with all the poultry that we are not allowed to have fresh in Singapore along with berries and specialist bakery and cooking ingredients. I’m sure there’s more I could mention, but you get the picture…and if it’s not there, ask Jean-Philippe and I am sure he will do his best to source what you are looking for. In conclusion, you would be hard-pressed to find a one-stop Providore better than Culina in Singapore and with the new ownership there is a much needed injection of resources and impetus, to which my expectations of Culina are very high and there is room for improvement—some constructive advice on that, the website needs a complete overhaul and an integrated direct marketing and point of sales system implemented and vertical integration with all of the Ong’s luxury business. I would also suggest the wine import and retail has considerable potential to expand in breadth and depth, as much the Singapore wine market has gone leaps and bounds over the recent years, there is still so many regions and style still not covered here—Rosé springs immediately to mid—a floor stack of good pinot noir rosé from New Zealand or Coteaux de Provence Rosé next to the checkout would disappear in a flash. And on a final note… we ate at the bistro again the other night and had a brilliant meal. I feel compelled to repeat myself and say this is has to be the most underrated eating experience in all Singapore, over-delivering on quality of food and price; an unparalleled wine selection at retail prices, genuinely friendly service and overall thoroughly conducive to a relaxed dining experience. And the top tip is go for lunch weekdays, even if you are coming as far as the CBD for a business lunch, it will not only cost you less, the food is far superior to anything I have come across in the city.